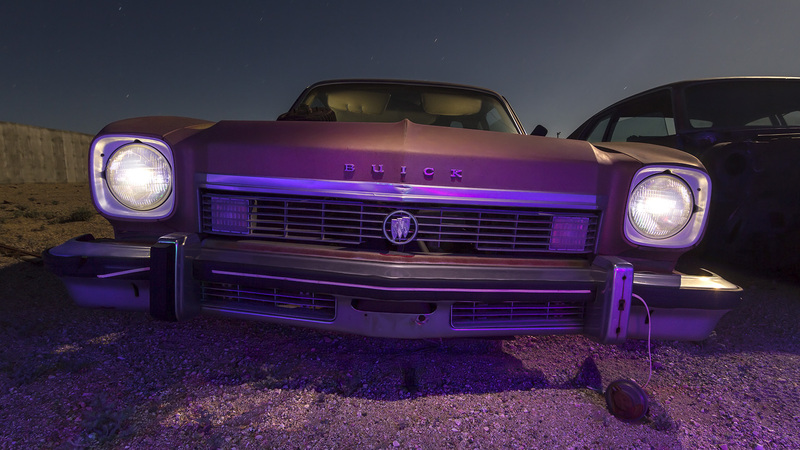 Mid-’70s Buick Apollo at the junkyard. Super rare ugly duckling of a car, almost entirely forgotten today. Night, 78-seconds of full moon with purple, red and white from the Protomachines flashlight. Interior lighting from 2nd exposure composited in.